Two days ago, I had sent Joey no less than 3 texts asking important questions. You know, stuff like “Even though I don’t have a job, can we still afford to take a vacation to Europe?” or “How do you turn the TV on? !” Pressing stuff. When he finally replied, it was with “Do you want Girl Scout cookies?” I asked if he had gotten any of my texts and he replied, “Yes I did. Do you want Girl Scout cookies? 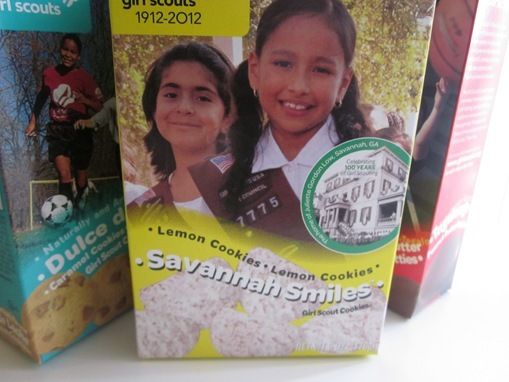 ?” Then he proceeded to call me to ask what kind of Girl Scout cookies I wanted. Either a Girl Scout had a gun to his head or he really likes those cookies. Even though I distinctly remember telling him to get a box for himself and I would just have some of his, he returned home with four boxes. Did you know there’s 11 different kinds of GS cookies?? I guess I should be glad he only came home with four. 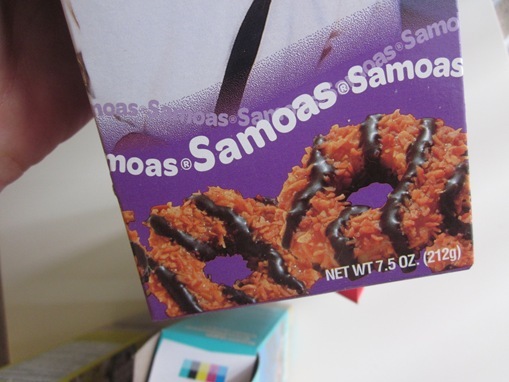 I’ve always been under the impression that I liked GS cookies, with Samoas and Tagalongs being my favorites, but after opening those boxes last night, I stand corrected. Guys, those cookies are not good. 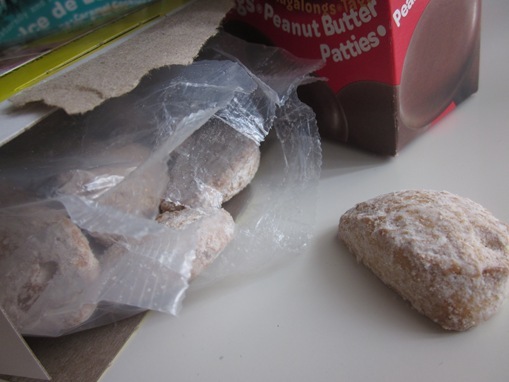 And it has nothing to do with the fact that hydrogenated oil is one of the first of like a million indecipherable ingredients listed on the box — if there’s peanut butter or chocolate, I’m willing to overlook those kinds of things. 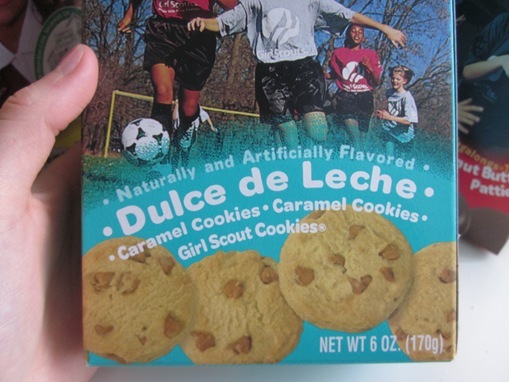 It has everything to do with how they taste like poorly made junk, and can we just talk about the size of the cookies? 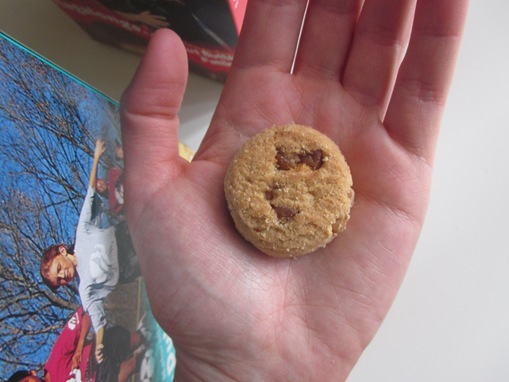 If I’m going to eat a cookie, I need it to be a substantial size. I get the feeling you would need to eat at least one sleeve of GS cookies to get your fill. I think I’m starting to understand why he came home with four boxes. Of those four boxes, one tasted like a chalky and sour punch in the mouth. Another tasted like how I imagine a dog treat would taste like. I wish I was kidding. Don’t even get me started on Thin Mints. What is it with those cookies?? 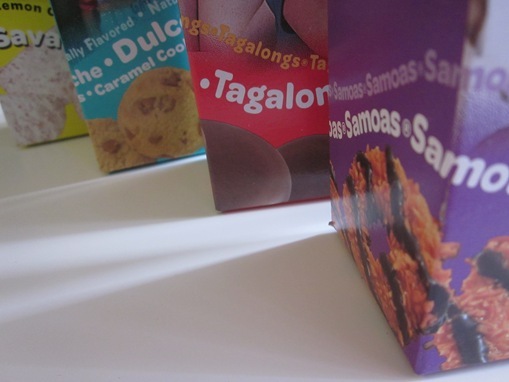 I still stand by my opinion that of all those junky cookies, Samoas and Tagalongs are the least horrible, but seriously, save your money for the Boy Scouts. You can’t mess up popcorn, right? P.S. 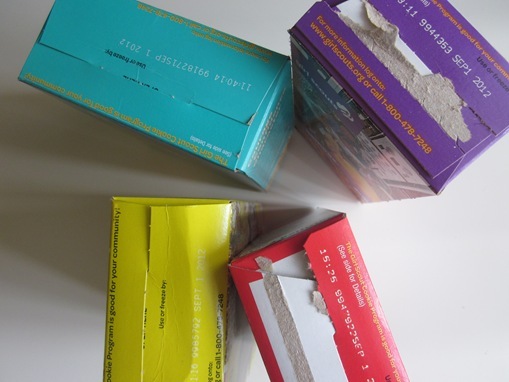 Can you go to jail for speaking out against Girl Scout cookies?? Do you ever buy Girl Scout cookies? Is there a product or trend that you can’t understand the popularity of? I would add Twilight, beer and Taylor Swift to that list. I haven’t had them in a while, but the thank-you-very-much ones are the bomb dipped in milk. I always thought thin mints were kind of chalky. And ew- let’s not even talk about the lemon ones. I specifically recall in college, I told my friend I’d never actually had a Thin Mint (because I kind of agree that GS cookies aren’t really that great, and definitely not good for you) and he and his cousin literally HELD ME DOWN and made me eat one. In Canada (or maybe just on the east coast) we only ever had two kinds of “Girl Guide” cookies and I thought they were pretty darn fantastic; thin mints and I think they still make the chocolate and vanilla sandwich cookies. I thought I was the only one. 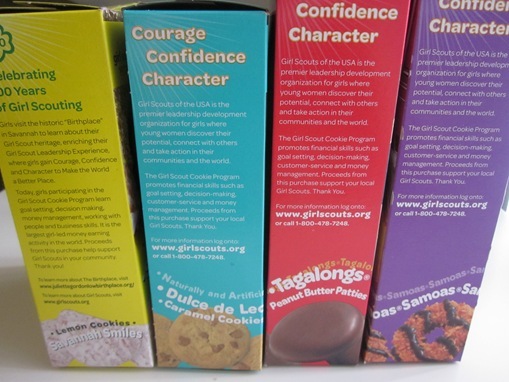 I’ve never liked Girl Scout cookies and don’t see what the big deal is about them. They aren’t good!!! !